To be blunt, I had very little to no expectations for <Rosebud>. It just seemed like another cheesy comedy following <Inside Me> (which was good!) and <Extreme Job> (which I didn’t like…), and I gave it an expectation score of 4/10 on the “Upcoming in January” post on the EonTalk Facebook. However, this film surprised me with its ability to make me laugh, all while also hitting them feels! Featuring the lineup of Yoo Ho-Jung, Park Sung-Woong, Oh Jungse, Ha Yeon-Soo, Lee Won-Geun, Choi Woo-Sik, and Chae Soo-Bin, <Rosebud> was the directorial debut of Jo Suk-Hyun. Originally titled “Who Is Rose?” on the EonTalk channels, the official title of the film was announced as <Rosebud>. The film had a very good blend of romance, drama, and comedy, as it took the audience on a roller coaster ride of emotions. Introducing Rose Hong (Yoo Ho-Jung/Ha Yeon-Soo)! Rose is an average single mother who would do anything for her daughter. By sheer coincidence, she runs into her old boyfriend, Myung-Hwan (Park Sung-Woong/Lee Won-Geun), and her surprising past is revealed. It turns out she isn’t very “average” after all; turns out that she used to be a singer, and nearly became the K-pop idol of her time! As more and more of her past is revealed, things get more and more complicated for Ms. Rose Hong. There were so many positive elements that caught me off guard, as I nearly had zero expectations for this film. First off, I just loved the feel this movie had. The “old-school Korea” tone reminded me of the film <Sunny>, and it impeccably depicted the 70’s ~ 90’s timeline of Korea. Although some of the hair and makeup could’ve been improved (e.g. the wigs were way too obvious), the overall cinematic color of the film was wonderful. Furthermore, the movie had genuinely funny scenes. There’s a fine line between a cringe film and a genuinely funny one. The comedy wasn’t forced or unnatural in this, like that of <Extreme Job>, but had the audience both chuckling and LOLing. I especially enjoyed the performance of Choi Woo-Sik, who may come off as over-dramatic in the trailers, but was extremely funny in the actual movie. This does not mean that <Rosebud> is “only” comedic, though. The film does just as a good job in touching the audience with some strong emotions. The story gets very, very real, and shows the significance of perspectives. Moreover, the performances by the cast members were great. Park Sung-Woong’s character in this was quite similar to that of his role in <Inside Me>. He’s been starring in a lot of comedies lately, more specifically “loser”-type of roles. I can’t say that it fits his persona as a person completely; I personally prefer him in works like <New World>. However, he was excellent in <Rosebud>. Also, the other members of the cast were great too! I really can’t say anything bad about the film in terms of its acting. In addition, the casting was done phenomenally. The production team did a great job in casting the “older” and “younger” versions of the characters. The actors playing Myung-Hwan especially were very similar. Park Sung-Woong and Lee Won-Geun may not seem to look alike, but their depictions of Myung-Hwan really sold the character as a single entity. And other than Myung-Hwan, the actors playing Hyuna (Chae Soo-Bin, Go Na-Hee), and Kang-Ja (Park Jun-Myun, Jo Soo-Yeon), were equally great. I don’t really have much negative things to say about this film, as I was pleasantly surprised coming out of it. Although it isn’t the best comedic film, it definitely had the components to make it a great one. One thing I’d have to mention is that it felt slightly dragged out. <Rosebud> has a running time of 126 minutes, which is over 2 hours long. I personally don’t think it needed to be that long. A 90~100 minutes run time would’ve sufficed, as it felt as if it became a little dull near the end. 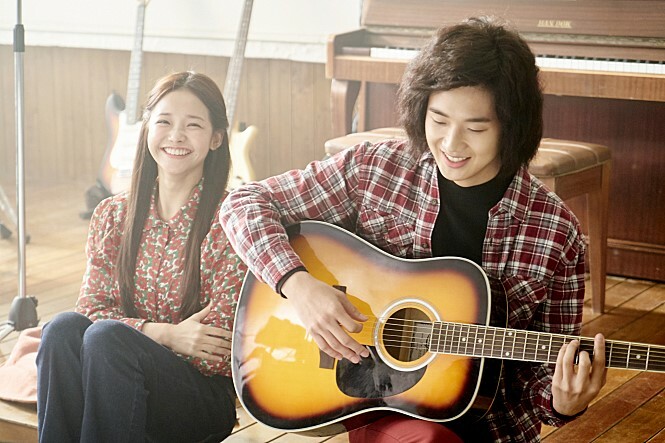 And finally, the trailer of <Rosebud> makes it seem as if it’s a musical film. However, although there are some elements of music in the story, it is not a musical drama. It’s more of a romantic comedy. Despite its ability to connect with and entertain the viewers, <Rosebud> hasn’t been receiving much attention in Korea. However, it’s definitely worth the watch. It’ll make you laugh, while also hitting the feels. Quite possibly the next great Korean romantic comedy following <On Your Wedding Day>!